Good morning lovelies, I am having a blasty blast here in Oregon! So far we have visited the Oregon Coast, toured the Rouge Brewery (Ty's favorite type of beer), fished for rainbow trout, and enjoyed yummy home cooked food (Ty's dad is an excellent cook!)... and that is only in 2 days! I can't wait to share some more stories and pictures when I get back! This weekend I hope to have some relaxation time to catch up on blog reading (maybe next to Ty's parents' koi pond!)... including these wonderful ladies below. Enjoy your weekend! LOVE the outfit she picked of yours! hope you continue to have a great time!!! 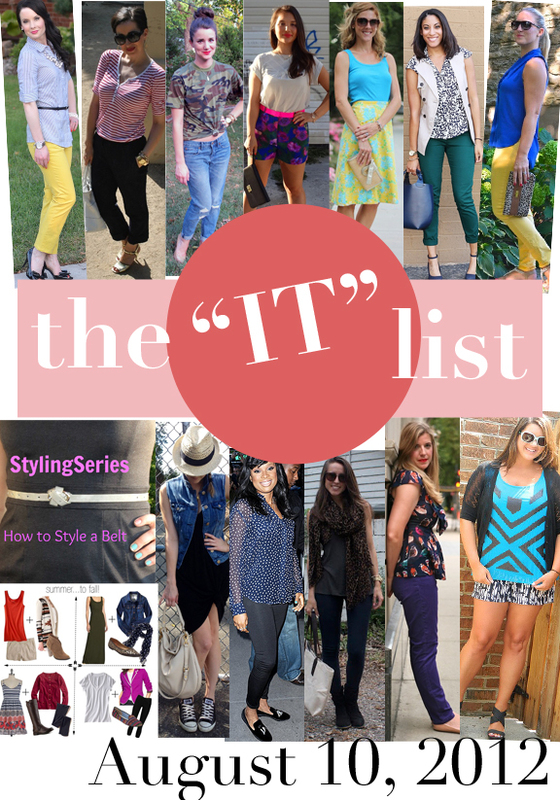 Great selection of outfits this week on the IT list! Glad to hear you are having fun on your trip. I would love to visit Oregon one day!